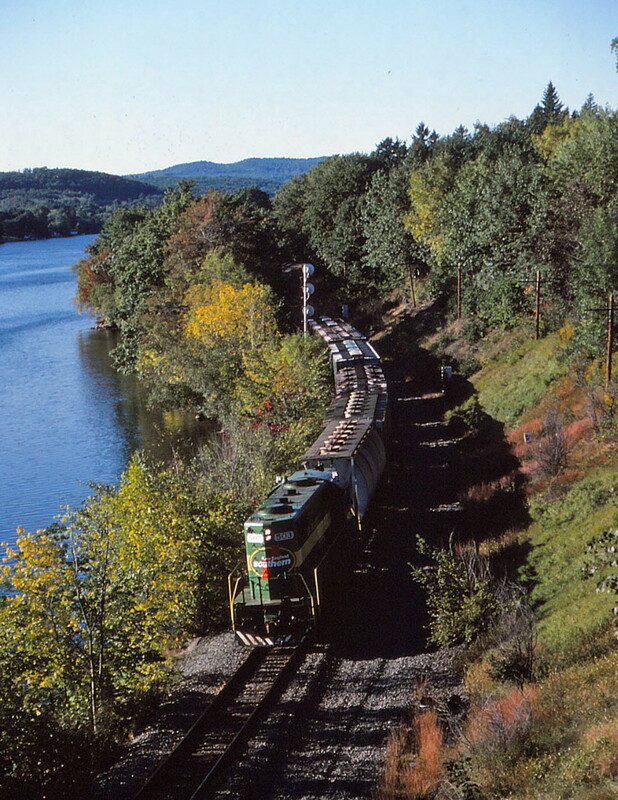 NES 503 leads its train along the Merrimack river. Photographed by Bruce Macdonald, September 17, 1986. Added to the photo archive by Bruce Macdonald, October 15, 2018.